This past Sunday, a CBC Radio Special Edition with Michael Enright talking about medical marijuana was aired. This insightful hour long program discussed many different angles in the medical marijuana debate but none more interesting then the discussion about medical marijuana dispensaries in Vancouver. In that segment, Enright interviewed City Councillor Kerry Jang who went on the record with council’s views of marijuana dispensaries in Vancouver. He also shared the City of Vancouver’s opinions on legalization and regulation. Councillor Jang’s interview starts at the 5:00 minute mark. We’ve transcribed the whole interview below which we think is worth reading. The full hour-long interview can be played here. Vancouver now has more stores selling cannabis then Tim Hortons has coffee shops. In fact, more then the rest of the country combined. You can buy dried weed or hashish with names like Purple Kush, West Coast Rockstar, Polar Hash and even my favourite, Barbara Bud. Some stores offer tinctures, oils and creams. Others sell edibles like cookies, brownies or herbal tea, all of which are illegal. If you do not have a doctor’s prescription, many stores will offer you a visit with their on-site naturopath who will give you a medical marijuana card if you say you are feeling a little stressed. Although Health Canada has sanctioned the use of cannabis for medical use, there are laws governing what is sold and how. But those laws are being habitually broken or ignored. Vancouver police, for example, by and large turn a blind eye. Kerry Jang is a city councillor in Vancouver. He’s also a psychologist, he teaches in the Department of Psychiatry at the University of British Columbia and Councillor Jang is in our Vancouver studio this morning. Good Morning. Good to have you on the program. How did your city, how did Vancouver become a haven for medical marijuana users? Well, Vancouver has had a very long history of compassion clubs and medical marijuana use. In fact, I think in the old days everybody was able to grow it in their home. But the new federal laws created, actually stopped people from growing their own bud in their own home. You had to buy it by mail order and you had to smoke it. It created a new grey area because people now were blocked access to their medicine. Now the first dispensary started about ten years ago, is that right? Yeah or if not a little bit longer then that. There were only about 6 or 7 of them in Vancouver and very well run. Very quiet. Right. Then the feds allowed prescriptions and you went from 6 to something like 70, is that right? Well I would say at least 70, probably pushing 80 right now because they seem to sprout up around Vancouver like pop-up shops, virtually in every single neighbourhood across the city now. How do you feel about that councillor? Well, you know on the one hand I believe all patients have access to their medicine and that’s exactly what we’re trying to do as a city. That’s why we sort of allow these things to open up, however, we do have a zero tolerance attitude towards, for example, selling to children, people under age. So that’s what I’ve asked our staff to do, is actually to start to look at a number of new by-laws we can use to treat medical marijuana shops like pharmacies so we can limit the number and particularly their location, especially around schools and community centres and things like that. You said there was a grey area but when you read Health Canada’s rules about medical marijuana, they’re pretty clear. Why aren’t the Vancouver police enforcing these rules, those laws and regulations? Well, Health Canada certainly said to all the municipalities “You guys have to enforce our new rules.” They’ve not provided any resources for us to do anything with. In fact, at one point they said you have to go and shut down all of the home grow-ops, you know people growing small plants for themselves. Well, how can we do that? Knock on every door in Vancouver? They want us to enforce the unenforceable. Have you approached Health Canada and told them your concerns? Ha, ha, ha. Well here’s the interesting thing. They came to the Union of British Columbia Municipalities meeting in which every municipality in BC shows up to and they gave a presentation on it and they were roundly booed off the stage and kept saying “Well how are we supposed to do this? This is crazy. You know, you guys are nuts.” It’s sort of like the folks at Health Canada had never actually used or experience medical marijuana in their life. It was so ridiculous, the rules. The rules, we think we agree, are clear about who can write a prescription. Naturopaths don’t qualify for that. How did that phenomenon come about? There is some hesitancy among physicians about getting in trouble. They probably believe that medical cannabis is fine but they won’t write a prescription and so you other groups that have credentials that are filling in that void. This is what’s happening. Now I do understand that the College of Naturopaths in British Columbia is quite concerned about this but this is really an internal matter for them and their own members. 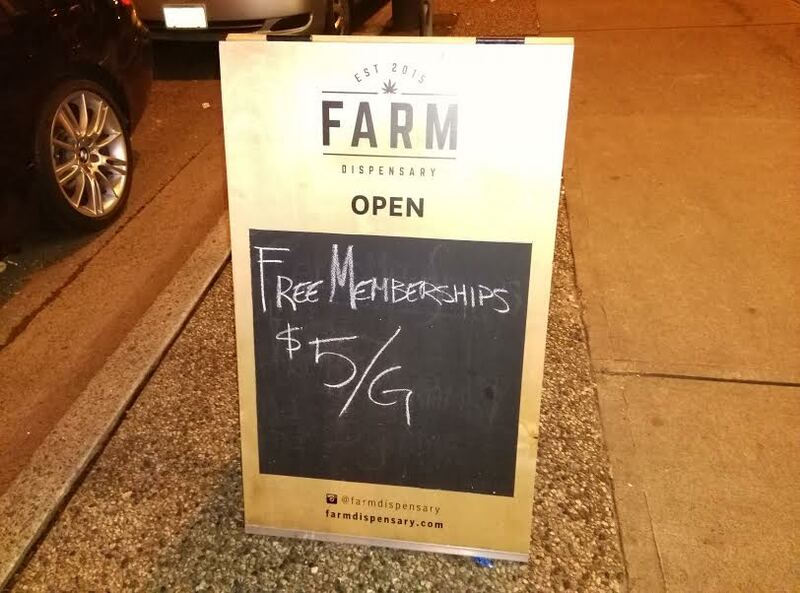 You see it’s becoming something of a standing joke that everyone who’s buying weed in Vancouver, I guess anywhere, is doing it for medicinal reasons. I think we’re all grown up to know that that’s not the case. Ha ha. You know, it’s almost a case of buyer beware. If we can do everything we can to make sure that someone walking into that shop knows exactly what they’re doing. So if they’re doing it for medical reasons, they got no problem. But if they do so for other reasons, they do so at their own peril. Let me ask you Councillor. Personally, are you in favour of decriminalization of cannabis, or in fact legalization of cannabis? Legalization. And I’ll say that it’s not just me. Vancouver city council unanimously, UNANIMOUSLY voted last term to ask the federal government to legalize cannabis. Give it a drug identification number. Something. Create a regulatory structure. Create a taxation structure. What are the arguments against it? What are the obstacles you and your councillors are facing? Before we had the old laws, people were happy. People were working within them. We had maybe 6 shops in total and it was fine. In fact I will say that even most of the shops that have opened up in the last year have been really well run. We’ve actually asked them as a city, “do you have your sprinklers in place, your health and safety codes, fire codes.” They all comply. They’ve actually been really good tenants and they do pay property tax. So it has an effect on the city’s bottom line, I guess. Does it? Well any taxation structure does but certainly, I will say, one of our biggest costs is actually policing these because we get a lot of calls about them because we have to send inspectors out. Our policy, we respond to every complaint. We have shut down a number of these shops that have been dealing out the back door. Giving to kids, absolutely. So it does cost us a lot of money to actually police what we have now. The Vancouver police say, one of their spokespeople said, that as far as their department goes, this is not a priority. They want to go after drug dealers or hard drugs. I agree completely. I think that’s another big problem in our city. Our addiction rates are very high. Methamphetamines is huge and this actually infiltrated into the high schools, the colleges and universities in a big way. And so that’s our biggest problem. Not weed. You’re aware that the Canadian Medical Association is opposed to legalization? They were opposed to a lot of different things. It may change over time but I am seeing a lot of physicians saying “you know, this medical marijuana is a good idea.” That’s something they have to work out for themselves. Oh gosh. No, we would love regulation. Treat it, like you would say, tobacco. And tax it and regulate it and monitor it. Either you have quality control standards. You would have all the things you would do with the tobacco industry but most importantly, you would take some of those profits to create awareness programs. An awareness program for smoking, for example, are funded by these taxes and have reduced the incidences of smoking across the country. Why not do this for cannabis? Ha, ha. Especially federal politics. Ha ha ha. Do you think we have de-facto legalization right now? I think we do. I think, you know, the rules are being flaunted so openly and we get so few complaints. The general population has agreed that medical marijuana has a place in our country and quite frankly, I’m glad it’s above ground in a dispensary where we can regulate and see what’s going on then underground like in other cities in BC and across the country. It’s all hidden but in Vancouver it’s open and above. We can actually have a handle on what’s going on. Councillor thank you very much. It’s a delight to meet you on the radio. Fantastic, thanks for having me. Right now the facility has 17,000 marijuana plants and is planning on doubling production.